Tehran, May 28 – Supreme Leader of the Islamic Revolution Ayatollah Seyyed Ali Khamenei on Saturday said the Saudi rulers are too harsh on Muslims, yet kind to the disbelievers. They oppress their own people in this manner, and oppress the people of Yemen and Bahrain in other ways. But they are going to perish. On the first day of Ramadan, the month of the Holy Quran's revelation, a bonding ceremony with the Holy Quran was held at the Imam Khomeini(ra) Hussayniyeh, in the presence of Ayatollah Khamenei, the Leader of the Islamic Revolution. Welcoming the first day of Ramadan, today, among a group of Qur'anic scholars (reciters), the Leader of the Islamic Revolution stated: From all over the vast garden, called Iran, flowers representing the Quran are blossoming: one by one they reveal themselves. Thus, the seeds of our Holy Quran have been sprinkled upon these lands. This is the art of the revolution. Ayatollah Khamenei announced: We are far behind in terms of bonding with and benefiting from the Holy Quran; these meetings are initial steps [towards bonding]. If we ponder on the Quran, the correct answers to life's many questions shall be revealed. He went on to say: Today the Muslim world, like all other societies, is in grave danger. Among the Muslim world, a group of worthless, inept and villainous people are ruling over a community of the Muslim nation, namely the Saudi government; and, reason lies in refusal to follow Quran and lack of belief in the truth. For pretence, they [Saudi Monarchy] publish and distribute the Quran for free. The Leader added: The Saudi rulers are too harsh on Muslims, yet kind to the disbelievers. They are giving special handouts to the US. To whom does all this wealth belong? This is the nation’s [Saudi people's] wealth, which they give away to disbelievers and their people's enemies. The fools actually think they can gain the friendship of Islam's enemies by providing them with money and assistance. There is no friendship there; as they say themselves, they are "milking them" like cattle. They oppress their own people in this manner, and oppress the people of Yemen and Bahrain in other ways. But they are going to perish. Speaking further on controversies surrounding the Saudi Monarchy he continued: No one should be deceived by this facade. They are on the wrong side; so, they will certainly perish. They might stay for some time; it depends on how the believers of the community take action. If they act correctly, it will happen sooner. If they don’t [react], it might take longer. Ayatollah Khamenei declared that the future belongs to Islam, the Quran, and the faithful young. He added, "God has promised that the future belongs to the believers and those who fight in His way. Even if this divine promise did not exist, the experiences of the Iranian nation, during the last four decades, proves this to be true and logical." 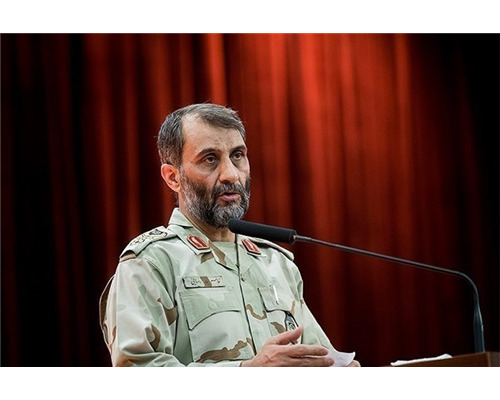 Finally, reminding his audience on the experience of the Iranian nation's victory over the eight-year imposed war, he conveyed the following message: Our nation triumphed during the eight-year war as the "underdog." Our nation, though a novice in political and international issues, prevailed over the conspiracies of our enemy. Our nation has been standing in front of a powerful, wealthy opponent, and its aggression. These experiences prove that the path towards a successful, powerful, and glorious development is based on a deep connection with the holy Quran.